If you've listened "expert opinions" and tried trendy drills that don't produce results, you've probably gotten really frustrated with the entire concept of speed development. Too often, coaches look for the magical drill that will change everything or listen to advice from someone who doesn't truly understand the intricacies and science of speed training, or who simply can't distill it down into useful terms. If you've been looking for a way to develop real speed - without gimmicks, without fluff - look no further. The IYCA Certified Speed & Agility Specialist (CSAS) is the most practical, thorough and scientifically sound speed development curriculum available. For a long time, people believed that speed couldn't be developed - it was a something athletes were simple born with. Thankfully, science proved that wrong. A series of studies by well-respected researchers showed that certain techniques actually improved speed much better than others. Eventually scientists uncovered some basic fundamentals of speed development. The most important finding of all is that the fastest athletes in the world actually move differently than slower athletes. This may not seem exciting, but what was revealed is that it's possible to teach these slower athletes how to move more like their faster counterparts. Now, if all we did was rely on science, this wouldn't be a complete curriculum. Instead, we enlisted one of the brightest minds in science and two of the most experienced coaches in the industry to teach you exactly how to apply these principles. Rather than create more confusion, this material distills everything down into easy-to-understand terms so you can stop wondering what's true, and start making your athletes faster. The CSAS is the most comprehensive speed & agility education program available, designed for fitness professionals, performance coaches, strength & conditioning coaches and sport coaches. Covers what REAL speed work is, and exactly how it needs to be used in your training program. Addresses the science of speed development, and covers the importance of Long Term Athletic Development through a detailed blueprint. Detailed program design for the ideal speed training program. How to actually coach speed & agility with proven coaching cues used by top coaches. How to use training aids to maximize the effects of your program. 69 online videos detailing virtually every aspect of speed & agility mechanics. Printable PDF files of chapter outlines and a course syllabus with suggested week-by-week assignments. 75-question online exam, available immediately with results provided immediately upon completion. Credentials that set you apart from everyone in the industry. Practical Speed & Agility Education for Coaches & Fitness Professionals. The IYCA Certified Speed & Agility Specialist course and certificate empower you to improve the speed & agility of any athlete you coach. The practical information, strategies, and drills prepare you to immediately improve the results you deliver to your athletes. You’ll first learn the science and core concepts impacting speed & agility. Next you’ll discover the mechanics of speed & agility coaching. Then, to tie all of this together you’ll learn how to program and coach to maximize speed & agility in your athletes. When it comes to speed & agility, if you need to know it, the Certified Speed & Agility Specialist materials cover it in detail. There is no other program like this. Nothing addresses speed & agility with the detail or provides the useable knowledge and coaching tools that the CSAS does. Why Become a Certified Speed & Agility Specialist? The Certified Speed & Agility Specialist program was developed to address one of the most glaring and obvious needs in our profession. Speed & agility are paramount to the success of athletes in almost all sports. As coaches and fitness professionals we’re charged with improving our athletes performance on the field or the court. In competitive sports the faster and more agile players on the field or court have a distinct advantage over the competition. The ability to accelerate or change direction can often be the difference between defeating an opponent and being defeated. While 40-yard-dash times are impressive and key parts of the combine circuit, game speed is so much more. Linear speed is just one of many skills that you need to develop in your athletes if you want to maximize their game success. ‘Track speed’ isn’t enough unless your athletes are only competing in track and field. They need the ability to accelerate and decelerate quickly. They need multi-directional speed. They need to be able to change direction rapidly. You know this, but where do you go to learn how to coach it? When we originally decided to offer the Certified Speed & Agility Specialist, it was largely because no one was really providing a complete education for coaches when it came to developing speed & agility in their athletes. There were plenty of speed products that offered collections of drills or strength programs that were designed to enhance speed. A select few certifications touched on the development of speed as part of a broader curriculum. There were even live workshops that provided a hands-on learning experience for coaches. But none of these solutions were complete. None were going to provide the coach or fitness professional with the background knowledge, practical education and complete toolbox they need to being out the best in their athletes when it came to developing speed & agility. Until now nothing available addressed this simple but critical need: how do you as a fitness professional or coach give your athletes the ‘on the field’ competitive advantage of speed and agility. That's why this Certification exists. To address that need. Completely. We want to make certain that the work you do and the coaching you provide to your athletes is completely obvious every time they step on the field or the court. The CSAS can make that a reality. You got an overview of the course at the top of the page. Here’s more detail about what you’re going to gain by completing the CSAS. The IYCA’s Revolutionary Approach To Long Term Athletic Development. The IYCA CSAS provides you with a complete approach to speed & agility development that takes into account the real world considerations of training athletes ranging from sports specialization to the differences in the needs of 8-11 year olds, middle/high-school athletes and even collegiate competitors. We’ve enlisted Jim Kielbaso and Dr. Toby Brooks as Co-Authors of this Certification to share their insight and experiences gained from coaching thousands of athletes from 6 year-olds to professionals. Gain access to actual, proven training programs for high school athletes designed by the industry’s top coaches to better empower you to implement your own effective training approach. Who Should Get Speed & Agility Certified? Any Coach or Fitness Professional who works with athletes should become a Certified Speed & Agility Specialist. Speed and agility are more visible and important now than ever before with a growing emphasis on combines and timed measurables to evaluate performance. The prevalence of Sports Specialization has created new challenges for coaches when it comes to programing. Dated programming and cookie cutter workouts have led to more injuries and limited performance improvement. The different needs of 6-9 year olds versus 14-18 year olds and considerations for In-Season, Pre-Season and Off-Season training. If you’re coaching or training athletes, you’re dealing with these considerations and many others. The Certified Speed & Agility Specialist Certification will better equip you to serve those athletes and help you allow them to perform their best. The Collegiate Strength & Conditioning Coaches Association (CSCCa) has even approved the CSAS for CEUs for their membership. What Are The Benefits of Getting the CSAS Certification? The ability to develop and implement the right programming to maximize the speed & agility of your athletes regardless of age, gender or sport. The confidence that your programming is based on real world evidence and specifically designed to maximize the game performance for each athlete you coach. Positioning as a ‘higher quality’ fitness professional or coach that is specifically prepared to work with athletes and enhance their on the field or court performance with evidence based programming. A tool to improve your business or career by being a specialist in a high need area that will immediately allow parents, coaches and administrators to know that you are uniquely prepared to improve the speed & agility of athletes. The ability to get better results, maximize performance and minimize injury in the young athletes you serve. The knowledge to better prepare your athletes to successfully develop from the Discovery phase of training (age 6-9) to preparing to compete at the collegiate level. 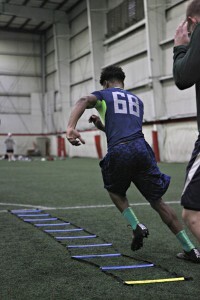 Separating yourself from all other coaches and trainers in your area, with the specific speed & agility knowledge that comes with being a Certified Speed & Agility Specialist (CSAS) – this will help you become the go to person in the area as well as all of your athletes getting faster and more explosive. While there are many other benefits to becoming an IYCA Certified Speed & Agility Specialist, the bottom line is this…it will make you better at what you do and allow you to better help the athletes you serve. What Is The Learning Format For The Certified Speed & Agility Specialist Certification? Comprehensive Speed & Agility Textbook - The official textbook delivers practical concepts supported by the latest research. The entire overview of speed & agility mechanics detailed in the text. A comprehensive collection of speed & agility drills. Key concepts and coaching cues to maximize your success in implementing what you learn. Done-For-You Programs to review and model and use for ages 6-9, 10-13 and 14+. Once your register to become a Certified Speed & Agility Specialist, you will be directed to create your IYCA account if you do not already posses one. Earn the credential of IYCA Certified Speed & Agility Specialist. Q How thorough is the Certified Speed & Agility Specialist Certification? A Very. Upon completion of the Certification course you’ll have a detailed understanding of both the science behind and the fundamentals of speed & agility development as well as the knowledge and tools to develop these valuable skills in your athletes. Q Will there be multiple levels of certification? A Yes, two. This textbook, online materials and exam comprise the Certified Speed & Agility Specialist Certification Level One. Most trainers and coaches will stop that that level. They will be more educated and empowered to develop speed & agility in their athletes than 99% of fitness professionals and coaches worldwide. We will soon be opening an exclusive Level 2 program for those currently taking or who have completed the Level One Certification. This will be an advanced curriculum and professionals who complete both levels will have a depth of knowledge and expertise attained by only a handful of trainers and coaches. Q Once I’m a Certified Speed & Agility Specialist, will I be listed on your site? A Yes. And given the nature of our industry and the vast competition in the field, that's a big advantage for Certified Speed & Agility professionals. Once you're certified, you'll have a professional profile in our online directory of IYCA Certified Professionals, so you'll be easy to find when people are looking for local help. Q Would sport coaches benefit from this program as well? A Absolutely. In fact, it would provide those coaches a distinct advantage over their competition. While most sport coaches gain access to the same information when it comes to teaching sport skills or game strategy, few take them time to learn about performance development, and for those who do – they have a huge advantage over the competition. Q Is the Certified Speed & Agility Specialist program accredited by one of the national education boards? A No, it’s not accredited by any of the national education boards. This Certification is what would be considered a Specialty Certification, designed to deeply develop your understanding of speed & agility and ability to coach it in your athletes with great success. That sort of specialized curriculum is not generally accredited. Q How does the Certification process work? A When you register to become Certified, you will be immediately directed to create your personal IYCA account. Once you login to your IYCA account you will gain immediate access to your Certified Speed & Agility Specialist Exam and step-by-step instructions how to successfully complete your certification. You will also receive an email confirming your order. Q How long will it take to complete the Certification? A Typically 2-3 weeks upon beginning studying is average. If you have completed other IYCA Certification programs, you can likely complete the program more quickly. When you enroll, you will also be given access to take your certification exam online. There are no additional fees to take your test. You have 365 days following your enrollment in the Certified Speed & Agility Certification program before you must test. You are given one attempt to pass the test. You will have 2 hours to take the test. It is 100 questions, primarily multiple-choice. If you do not pass the exam you can purchase a retest for $50. Q Are any Certification study materials mailed to me? A If you ordered the physical certification you will receive them within 10-14 business days in most cases. Q When do I receive my Certification? A After you successfully pass your test, we will register you in our global database as a Certified Speed & Agility Specialist. It can take up to two weeks for your certification to be mailed to you. Q Do I have to be IYCA Youth Fitness Specialist Certified as a prerequisite for this Certification? A IYCA Certified professionals come from all corners of the World. With the online learning platform it’s easier than ever before to study for and complete an IYCA Certification. You can study at your own pace and complete the Certification no matter where you reside. The only consideration is that all Certification materials are in English. Q Will I have to get recertified every few years or take continuing education credits to maintain my status? A The Certified Speed & Agility Specialist adheres to the general IYCA continuing education policy you can find here. We’re very confident that this is far and away the best speed & agility education program for fitness professionals and coaches. So, as with everything we do, the certification is 100% guaranteed. You have 365 days to review all the material, and if for whatever reason it’s not for you, just return it and we’ll give you your money back. It’s that simple. Registration to become an IYCA Certified Speed & Agility Specialist is easy and can be done online by clicking either registration button at the bottom of this page. 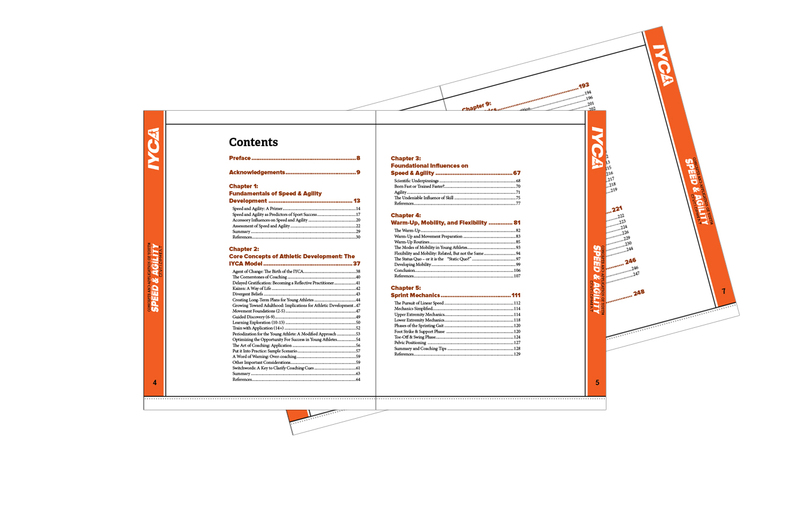 If you order the physical version, your course textbook will be quickly shipped to you. If you order either version, your online material will be available immediately. Click either registration button below. These will take you to the online checkout page. Once you have completed your online checkout, you will be sent an email containing your user name and password as well as a link to access your product. Log in to the IYCA customer portal with your username and password. If you purchased the physical version, your course textbook will ship within the next 2-3 business days. Depending on where you live, you’ll get it soon thereafter. Finally, read the text, watch the videos, work through the study guide, and take the exam. Once that happens, we’ll mail you a certificate and give you a form to fill out, so you can create your profile in our directory of IYCA professionals. You provide your contact info, and we’ll list you on our site so that people interested in local IYCA professionals can find you. The IYCA Certified Speed & Agility Specialist certification will teach trainers and coaches to become true speed & agility experts than are ready to get their athletes results on the field or court. This is your opportunity to be on of the select few who can have that type of impact. Become an IYCA Certified Speed & Agility Specialist (CSAS) Today.